New energy technology company BYD has proudly delivered the first 5 units of pure electric C6 coach in Nepal to the Ministry of Culture, Tourism and Civil Aviation in Kathmandu, in an event hosted by Nepal’s Prime Minister K.P. Oli. 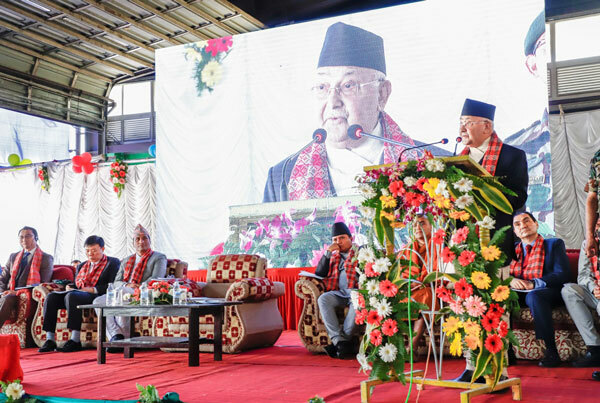 “Today marks the moment when Nepal and the advanced technology of electric vehicles are linked,” said the Prime Minister at the delivery ceremony in the Nepalese capital. The bus will operate in Lumbini, a Buddhist pilgrimage and UNESCO World Heritage Site that is threatened by air pollution. This heralds the beginning of the electrification revolution in Nepal. In order to protect its environment and the burgeoning tourism industry, Nepal has chosen to adopt electric vehicles. The Nepalese government plans to replace the entire presidential palace’s vehicle fleet with electric vehicles, and hopes to substitute 1,000 taxis in Kathmandu Valley, as well as all school buses, with electric vehicles in the near future. According to the 2018 mid-term pollution index report from global statistics database Numbeo, Kathmandu’s pollution index ranks second in the world. Exhaust emissions from older vehicles have become one of the main causes of increased air pollution. BYD’s vehicles debuted in Nepal in August 2016, the same month Nepalese trading company Cimex and BYD signed a cooperation agreement. Since then, BYD has provided technical support for Cimex to build a charging station in Kathmandu and signed the largest electric vehicle project in Nepal to date with the Ministry of Culture, Tourism and Civil Aviation.